1. When is StoryWorld Conference + Expo 2012? 2. Where is StoryWorld Conference + Expo 2012 taking place? 3. Who is the Conference for? 2. How much will it cost to attend? 3. Can I register on-site at the Conference? 4. Do I have to choose my sessions when I register? 5. What registration options do I have, and what does each include? 6. Can I get a receipt/invoice for my registration? 7. Can I make my hotel reservation when I register? 8. When is the Early-Bird registration deadline? 9. How do I use a coupon I've received to save on registration? 10. How do I receive the student registration rate? 11. What is your Federal Tax ID number? 13. What if I have a registration question that isn't answered here? 1. Where can I find information about official hotels, rental cars, or airlines? 1. Is it safe for me to register using my credit card on the StoryWorld Conference site? 2. What if I'm having problems with the online registration process? 3. I'm having some difficulty just viewing the pages on your Web site. Can you help? 1. How can I recommend a speaker, or let you know I am interested in speaking myself? 2. I have a session idea for the Conference—how can I tell you about it? 3. Can I receive printed materials about the Conference? 4. How do I subscribe or unsubscribe to the StoryWorld Conference + Expo e-newsletter? 5. Can my company sponsor or exhibit at StoryWorld Conference + Expo 2012? 6. Do you accommodate special needs? 7. What if I have a question about the Conference that isn't answered on this site? When is StoryWorld Conference + Expo 2012? 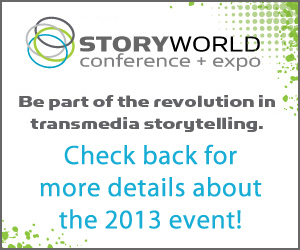 StoryWorld Conference + Expo 2012 will take place Wednesday, October 17 - Friday, October 19, 2012. Where is StoryWorld Conference + Expo 2012 taking place? StoryWorld Conference + Expo 2012 will take place at the Renaissance Hollywood Hotel, 1755 N Highland Ave, Hollywood, CA 90028. StoryWorld Conference + Expo 2012 is the first major gathering of content creators, platform providers, and entertainment industry leaders dedicated to exploring new business models and working together across media boundaries. You’ll discover the best ways to partner with complementary media and increase the value of your intellectual content, learn best practices from global transmedia front-runners and hear case studies from successful media companies already profiting from a transmedia approach. StoryWorld also offers an unbeatable opportunity to make deals and connect with potential partners at structured networking events. Please visit the registration page for a complete price list. Can I register on-site at the Conference? Yes, on-site registrations will be accepted, unless the conference sells out. Do I have to choose my sessions when I register? What registration options do I have, and what does each include? Attendees can choose from several full-Conference registration options. You'll find complete registration details here. Can I get a receipt/invoice for my registration? If you register online and pay by credit card, you will be able to print your receipt at the end of the registration process (the screen that appears after you click the Make Payment button). If you did not print your online receipt at that time, you can use the link and confirmation number in your original confirmation email (received upon completion of your registration) to access your registration receipt. Just click on receipt/invoice button at the bottom of the email. If you register via postal mail or fax and would like a receipt, please contact us. Can I make my hotel reservation when I register? No, but you can make your reservations online or by phone (1-877-622-3056). You'll find complete information on the travel page. Please be sure to make your reservations early, as our room blocks fill quickly. When is the Early-Bird registration deadline? The Early-Bird registration deadline is 3:01 AM Eastern Time (12:01 AM Pacific Time) on July 20, 2012. How do I use a coupon I've received to save on registration? If you would like to use a coupon that you've received, you are welcome to do so. You can input the code (found on the coupon) on the first page of the registration process, just under your email address. The site will automatically calculate your registration fees and subtract the coupon's value on the next registration page. If you are sending in your registration by fax, please also fax the coupon. How do I receive the student registration rate? To qualify for the student rate, you must submit a copy of your student ID, proof of 12 current credit hours, and a paid receipt for the current semester/term. If you register online, you can upload those while you register. If you register via postal mail or fax, please include the required documentation. Our Federal Tax ID is #20-2955953. We are F+W Publications, doing business as F+W Media, Inc./StoryWorld Conference + Expo. Please contact us for a current W-9. If you must cancel for any reason, please notify us at storyworld@fwmedia.com by September 17, 2012. Your registration fee will be refunded less a $150 processing fee. No refunds will be made after this date for any reason. Substitutions may be made by fax or email until October 10, 2012. After this date, all substitutions must be made on-site at the StoryWorld event..
What if I have a registration question that isn't answered here? If you have further questions, please contact us. We'll promptly answer any questions you have about registering for StoryWorld Conference + Expo 2012. Where can I find information about official hotels, rental cars, or airlines? Please visit our travel page for complete information on our official airline, hotel reservations, rental car opportunities and more. Is it safe for me to register using my credit card on the StoryWorld Conference site? Absolutely. This website uses Secure Sockets Layer (SSL) technology to encrypt your personal information when you place your order. This means your order cannot be read as it travels over the Internet, so your name, address and credit card information are secure. What if I'm having problems with the online registration process? If your problems are technical in nature (your browser is reporting errors or pages are failing to load correctly), please first try quitting and re-launching your browser, and/or restarting your computer. Also, be sure you are not blocking cookies in your browser's preferences (cookies are required for the registration form to work). If the issue persists, contact us and explain your problem in as much detail as you can. I'm having some difficulty just viewing the pages on your website. Can you help? If you are using an older browser, or a browser that does not support these technologies, but want to learn more about the Conference, please feel free to contact us. We'll be happy to answer any questions you may have about the Conference. If you have technical questions about the website itself, please contact us. How can I recommend a speaker, or let you know I am interested in speaking myself? Please contact us to recommend a speaker for StoryWorld Conference + Expo. I have a session idea for the Conference—how can I tell you about it? Please contact us with your session ideas. Can I receive printed materials about the Conference? Please contact us if you'd like to be added to our mailing list. Be sure to provide complete postal information with your request. How do I subscribe or unsubscribe to the StoryWorld Conference + Expo e-newsletter? To subscribe to the StoryWorld Conference + Expo, just enter your email address in the box on the right-hand side of the conference home page. When you register for StoryWorld Conference + Expo you will be automatically subscribed to the Conference e-newsletter. To unsubscribe, follow the instructions at the bottom of the newsletter. 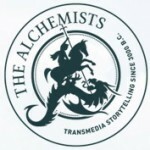 Can my company sponsor or exhibit at the StoryWorld Conference + Expo? Please contact us for information on sponsoring or exhibiting. Yes. We make sure our facility has total accessibility, and we do whatever is needed to make attending the Conference as convenient as possible for all attendees. If you have a special need, please contact us after you have registered and we'll make special arrangements, if necessary. What if I have a question about the Conference that isn't answered on this site? Contact us or phone 877-436-7764, option 4 with further questions. Want in on the action? Sign up to get the latest details and new developments on one or all of the StoryWorld Live events. "The sense of community and support each speaker and attendee gave each other at this conference was so unique. No rock star attitudes - just a community of enthusiastic people all trying to figure out the new landscape together. It was an incredible experience." "If you want to meet the next generation of creative, interactive storytellers, then put StoryWorld Conference on your calendar today!" "I'm a Silicon Valley tech entrepreneur, and StoryWorld was my first direct contact with the transmedia community. I found the conference invaluable! Every single keynote or panel I attended was informative and interesting. The attendees were open and collaborative, and made me feel very welcome. I can't wait to attend next year's event." Thank You To The 2012 Sponsors! Copyright © F+W Media, Inc. All rights reserved.